On her 32nd birthday, popular singer Nasreen Qadri completed a conversion process, the Yediot Aharonot daily reported Monday. The process ended with a dip in the mikvah and a festive meal under the direction of Rabbi Dudu Dery, who accompanied and led the conversion process of the singer. The singer, who was born to a Muslim family and lives in Haifa, won first place in the program “Eyal Golan is Calling You.” She has been involved in many musical projects and has been very successful on stage in Israel and abroad. 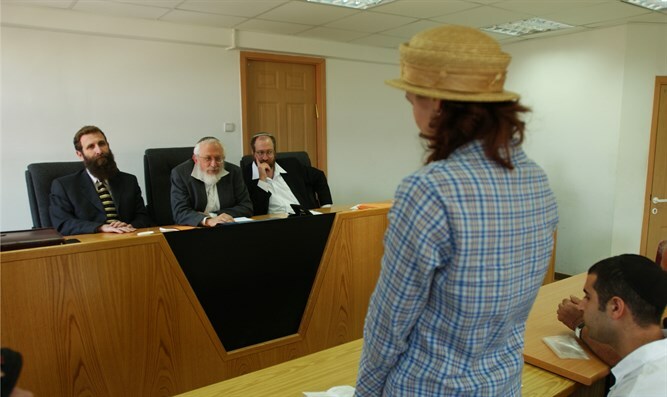 Two years ago, she became engaged to a Jewish man and at the same time began a conversion process, but the relationship between the two often ran aground in light of the reception of the two families and the public to their relationship. The two separated and, as stated, Nasreen has completed her conversion process. She has changed her name from Nasreen to “Bracha” (“Blessing” in Hebrew).